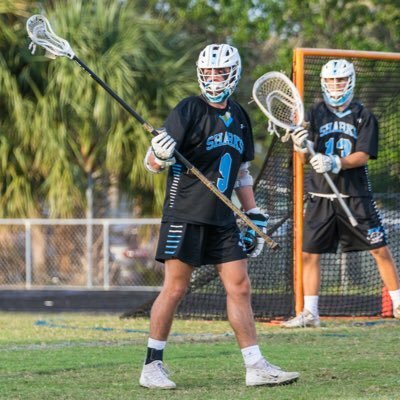 District 6 Preview: Can Ponte Vedra Win The FHSAA Title? 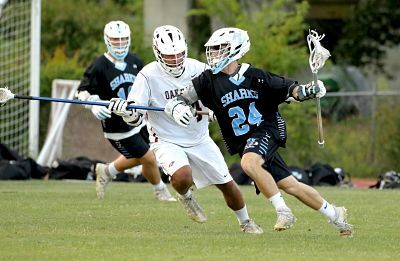 Ponte Vedra fell short in the state semifinals last year, falling to Bishop Moore in a tight battle. There’s plenty left in the cupboard and they are one of the favorites to make it back to Boca Raton this season and possibly garner that elusive gold ring. This has become one of the best Districts in the state, as Nease (#15 in the Final Top 25) has consistently made the Top 25 in the state with Creekside (also considered) also gaining steam. Fleming Island (also Considered) boasts one of Florida’s most intriguing college prospects in Eric Dobson. And Bartram Trail shows signs of moving up too. So, 4 of the 5 schools either finished in the Top 25 or received consideration . . . not too shabby. 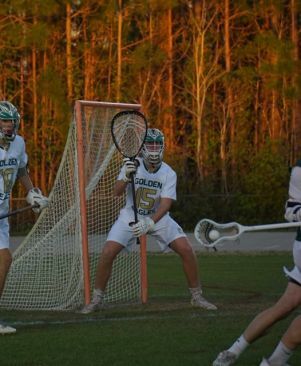 In the District playoff it was Nease over Fleming Island in a close tilt with Ponte Vedra handling Bartram Trail and Ponte Vedra cruising through. What are your expectations this season for the team? We expect our players to challenge themselves to grow EVERY SIGNLE DAY on and off the lacrosse field this season with the goal of constant improvement. On the field, we simply expect maximum effort when they put the helmet on. Who are the returning players who will make a difference this season? What players do you expect to step up this year that didn’t get much playing time last year? Davis Smith is going to be a huge key to the defense this year after coming off the bench most of last season. Riley McCormick and Will Frank will also push for major increases in minutes this year on the defensive end. Fred Amato – Lehigh – Recently moved from Long Island and will have an immediate impact. Cameron Welch – Will insert himself as one of the key pieces to the offense this year. The 2021 class – this group is loaded with young talent now moving into their sophomore year will push the upper classman for minutes at every position. What are the games you are really looking forward to this season? We always look forward to our Florida rivalries (LHP, Jupiter, BM, etc. ), but this year we have a ton of new opponents across the county that should make for a very fun competitive regular season. Lambert, who finished #1 in the south last year, will be an amazing test for us. Bellevue Washington finished #7 in the West, Episcopal Dallas(TX), Audrey Kell(NC), Memphis University School (TN) and Woodward(Ga) all should be great challenges for us. Our expectation for this season is to focus on our daily process of improvement so we are only concerned with our play in the moment. Win The Day! District 6, the most competitive district in the state of Florida. We hope to be competitive against our very competent district opponents this season. 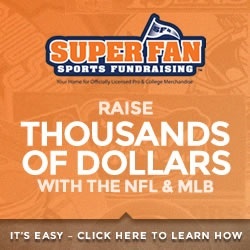 Who are the returning players he will make a difference the season? Eric Dobson is a returning Junior midfielder-attackman. Big, physical dodger with a good outside shot. He was our leading point score last year with 47 goals and 37 assists. He is verbally committed to play at Notre Dame. Korbin Hamilton is our senior goalie with lots of playing experience. Last year he had 105 saves with a overall save percentage of 62%. He is committed to play at Limestone college next year. Max Michaels and Declan Bertolini are athletic two-way senior midfielder’s who can get up and down the field. Parker Flagg is a freshman defenseman who will be seeing plenty of playing time this year. Has good stick work and relatively high game IQ for a freshman. We will be planning 3 teams from out of state-Bellevue high school from Washington state, May River from South Carolina and Johns Creek from the Atlanta area. 2 of our games, Nease and Bellevue will be played at Jacksonville University before or after the college game. We graduated 12 seniors, all saw substantial playing time. Rather than dwell on who we lost, our guys have recognized this is an opportunity to step up. This was evident in the work put in throughout the off season. We will be a young team, but because of the commitment shown this off season, we will better handle adversity and compete hard in every game. This season we are looking to senior midfielder Griffin Gast (Stevenson commit), Junior LSM Ralph Hamilton, and Junior Attackman/Midfielder Ian Parr to be our go to guys on the field. All three contributed last season, but each of them has been working hard in preparation of this season and will be ready to take on greater responsibility. We expect Brody Johnson (Jr. Goalie), and sophomore Matt Focht (Midfielder/FOGO). I am excited to see how both of these guys handle their added responsibilities. We are confident that they will develop into the leaders we need them to be. We aren’t big about circling games on the schedule. We are looking forward to playing a challenging schedule that features several out of state teams, and as always, we are looking forward to competing in a very challenging district. Coach Jason Alford is back for another year for one of the better ‘under the radar’ programs in the state, as Creekside has been either in the Final Top 25 or close to it for a few years now. Creekside Men’s Lacrosse returns a strong core group from last season’s team. Defensiveley we return almost every starter including our goalie which will help anchor our team. Offensively our success will be based on working together as one unit and also having some underclassmen and seniors step in to and fill some starting roles. Overall this team has lots of potential and will realize that through our daily commitment to the process for getting better every time we step on the field. 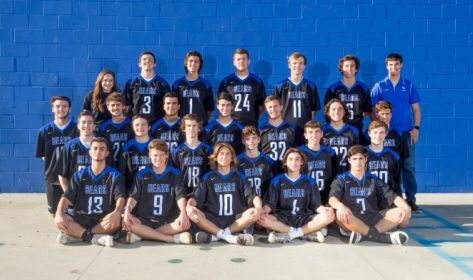 One of our goals is to compete for and win the District Championship in what is considered one of the toughest lacrosse districts in the state of Florida. Glenn Mandel – Goalie (Class of 2019) : Glenn has been on varsity for 4 years and started as a sophomore and junior in the goal. Last season he had 135 saves for a 54% save percentage and a 80.5% clearing percentage. Glenn helped lead our Man Down unit to an outstanding 81% success rate. Glenn is our last line of defense and as one of our Senior Captains will help lead our team defense to be one of the strongest in the district. Glenn has made the Preseason North Florida Player to Watch List. Will Coyle – Defense (Class of 2020) : This will be Will’s second year on Varsity. Will had a successful sophomore season for us and was recogninzed by being named 2nd Team All County by the St. Augustine Record. He had 1 goal & 1 assist with 44 ground balls and 15 caused turnovers last season. Will has been named a Team Captain this season and is one of our vocal leaders on defense. He will help anchor our close defense and routinely covers the other teams top attackman. His leadership for our defense will be key to having a successful season. Will has made the Preseason North Florida Player to Watch List. Emmett Schultz – Midfield (Class of 2020) : Emmett has been on varsity since he was a freshman and is a huge impact player for our team. Last season he was recognized by being named 2nd Team All County by the St. Augustine Record as a sophomore. He is a true 2 way midfielder and does everything for us on the field. Emmett makes all the hustle plays offensively and defensively and leads our team by his play and also vocally. 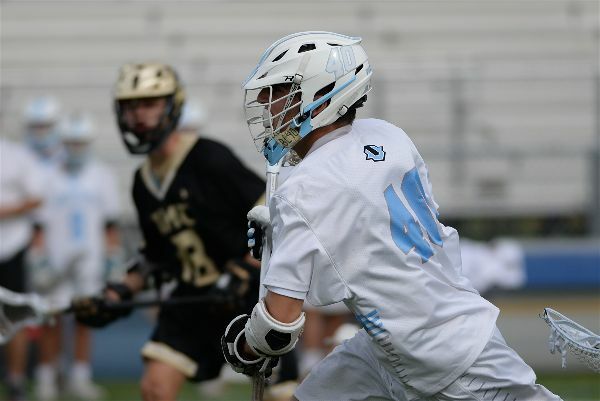 As a sophomore he finished with 7 goals, 14 assists, and 66 ground balls with 11 caused turnovers. Emmett has been named Team Captain as a Junior this season and will help lead our team to a successful 2019 campaign. Emmett has made the Preseason North Florida Player to Watch List. Gabe Clark – Defense (Class of 2021) : Gabe started for us on defense last season as a freshman and is returning this season looking to improve and grow from his experience from last season. He finished the season w 1 goal, 13 ground balls, and 14 caused turnovers. His ability to play close defense and also run long stick midfielder allows our defensive unit to match up against other teams best players regardless of postion. As a freshman there were several games where he was asked to guard the other teams top attackman. Gabe will help anchor a very strong defense this season. Gabe has made the Preseason North Florida Player to Watch List. Maui Wilhelm – Defense (Class of 2021) : Maui was a starter on for our defense last season as a freshman. As a freshman he was asked to play all over the field but ran mainly long stick midfielder for our team. He finished with 4 goals, 6 assists, 64 ground balls, and a team high 46 caused turnovers. Maui routinely matched up with the other teams top offensive midfielder. His ability to scoop a ground ball and run transition to offense for us is a huge advantage for our team. Maui is also very versatile in his ability to play several positions which strengthens our ability to play defense against the other teams top players. His uncanny ability to cause turnovers is evident by anyone that watches him. Maui has made the Preseason North Florida Player to Watch List. 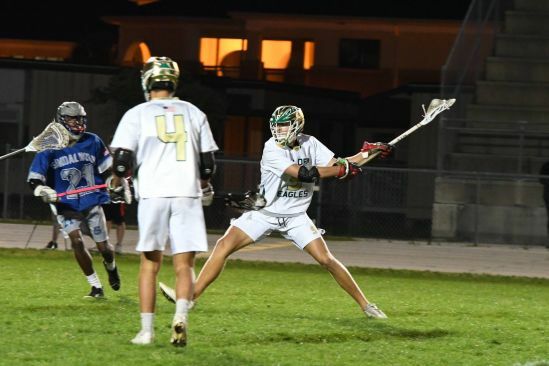 Dawson Chasteen – Attack (Class of 2019) : Dawson has been named a Captain by his peers and coaches and looks to have a successful Senior Season for us. This will be his 3rd season on Varsity and has steadily improved every year. Eric Spano – Midfield (Class of 2019) : Eric has also been named a Captain for our team. Eric received a lot of playing time last season but is often overlooked because he does a lot of the gritty work it takes to help win games that doesn’t always get noticed. This will also be his 3rd year on Varsity. Adam Krupp, Ralph Eubanks, Carson McCredie, and Garrett Smith are all Senior Midfielders returning from last years team and are working extremely hard in practice. All 3 will make a big difference for our team throughout the season. Juniors Carter Cummings, Alex Gerdak, Jack Wheeler, Sophomores Buck Bennett, Brock Posey, and Nate Watson all look to contribute througout the season. These 3 incoming Freshman will help make a big impact for our team this season. We are really looking forward to the Moe’s Classic v. Bolles played at Jacksonville University on 2/23. It is such an honor to be one of the few teams in the state that is able to play on their campus. Also Bartram Trail and all the District Games are always a lot of fun and really competitive. We travel to play a really strong and well coached Tampa Jesuit team over our spring break. They came to us last season and we hosted a cookout after the game for both teams which was a really great moment to see both teams come together after a hard fought battle.